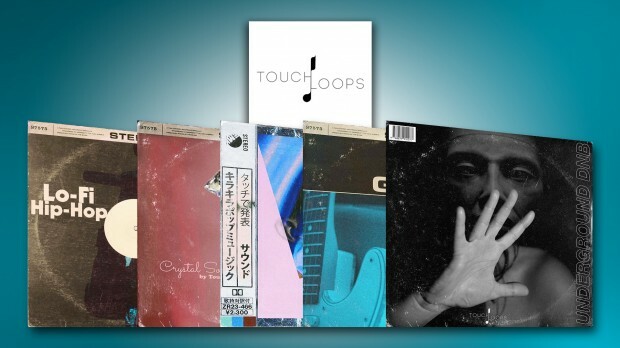 Available now at DontCrack, Touch Loops have released 5 new sample library packs for your delectable delight! Find in the news below and more detail in the product pages; exciting Hip-Hop, RnB, Jazz Guitar, Pop, Underground and more stylized Samples and MIDI Loops from UNDERGROUND DNB, JAZZ GUITARS, VELVET POP, LO-FI HIP-HOP, and CRYSTAL SOUL. This entry was posted in DontCrack, Sounds and tagged CRYSTAL SOUL, Electronica, Guitar, Hip-Hop, Jazz, JAZZ GUITARS, Library, LO-FI HIP-HOP, Loops, MIDI Loops, Pop, RnB, Sample Pack, Samples, Soul, Sounds, Touch Loops, Underground, UNDERGROUND DNB, VELVET POP. Bookmark the permalink.